In the context of the European Technology Initiative ARTEMIS Joint Undertaking (ARTEMIS JU), the project CRYSTAL (short for: CRitical sYSTem engineering AcceLeration), that has started early May 2013, aims at fostering Europe’s leading edge position in embedded systems engineering in particular regarding quality and cost effectiveness of safety-critical embedded systems and architecture platforms. Its overall goal is to enable sustainable paths to speed up the maturation, integration, and cross-sectoral reusability of technological and methodological bricks of the factories for safety-critical embedded systems engineering in the areas of transportation (aerospace, automotive, rail) and healthcare providing a critical mass of European technology providers. CRYSTAL perfectly fits to other ARTEMIS projects, sharing the concept of a reference technology platform (RTP) as a consistent set of integration principles and seamless technology interoperability standards. Based on the methodologies of a service-oriented architecture and the results of previous projects CRYSTAL focuses on an industry-driven approach using cross-domain user stories, domain-specific use cases, public use cases, and technology bricks. This shall have a significant impact to strengthen European competitiveness regarding new markets and societal applications. In building an overall interoperability domain “embedded systems”, CRYSTAL will contribute to establishing a standard for model-based systems engineering in a certification and safety context which is expected to have global impact. By bringing together large enterprises and various industrial domains CRYSTAL will setup a sustainable innovation eco-system. By harmonizing the demands in the development of safety-relevant embedded systems including multi-viewpoint engineering and variability management across different industrial domains, CRYSTAL will achieve a strong acceptance from both vendors and the open-source community. CRYSTAL will drive forward interoperability towards a “de facto” standard by establishing the Interoperability Specification (IOS) which is the basis for an interoperable European Reference Technology Platform (RTP). 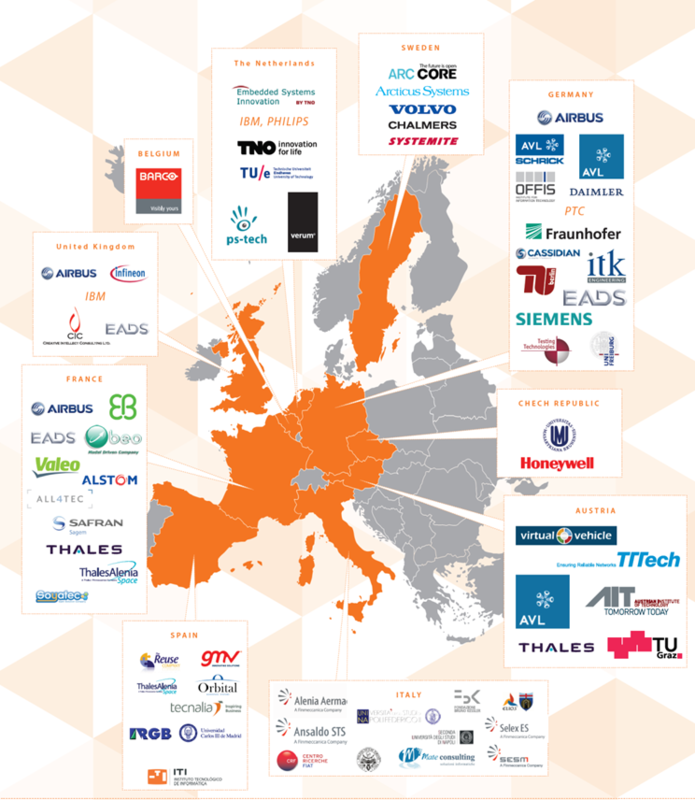 The project consortium is made up of participants from all relevant stakeholders, including OEMs, suppliers, tool vendors and academia. Fraunhofer FOKUS contributes substantially to the definition of the Interoperability Specification and participates to implementation and quality assurance of the reference technology platform. With its technology ModelBus®, the System Quality Center (SQC) of Fraunhofer FOKUS offers a reference implementation of parts of the Interoperability Specification (IOS). Beside the cross-cutting technologies, Fraunhofer FOKUS also supports the application of these technologies in an industrial context where special emphasis is put on the automotive domain. Further information on the project will follow soon. CRYSTAL has a project budget of over 80 million euros and consists of 71 partners from 10 different European countries: Austria, Sweden, Germany, Chech Republic, Italy, Spain, France, United Kingdom, Belgium, The Netherlands.